Are you a wholesaler of e-liquid nicotine? Looking for wholesale priced e-liquid nicotine for an eGo e-cig? VapingZone is the right place for buying eGo e-liquid nicotine in bulk. VapingZone sells nicotine liquid in wholesale quantities at less than comparable prices. 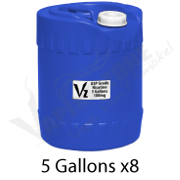 It comes in quantities from 2 Liters to 55 Gallon Drums. Vaping Zone offers a full line of wholesale liquid nicotine options whether you are the e cig retailer, supplier, or e-liquid manufacturer. We believe in providing our customers with the highest quality nicotine juice possible to allow you to produce the best possible e-liquids. Our liquid nicotine is odorless and tasteless and is used by many top e-liquid manufacturers around the world in their e-juice products. We pride ourselves in supplying exceptional quality 99.9% pure nicotine and providing an excellent customer service and vaping experience for our customers. Wholesale liquid nicotine can be ordered under the Wholesale section of our website. Our nicotine is sold in a variety of bottle sizes. The 100 mg and 48 vg options are provided in 120 ml, 500 ml, and 1000 ml sizes. 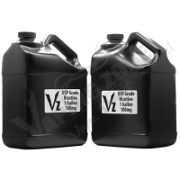 Wholesale nicotine is also available in sizes of 2 gallons and 5 gallons in addition to our standard sizes. Smaller bottles can also be ordered in larger quantities under our wholesale section. All our e-nicotine is bottled and shipped in foil capped heat sealed blue translucent bottles, solid colored one gallon jugs, or heavy duty solid colored 5 gallon drums to adequately help protect the nicotine from light and to properly ensure that your liquid nicotine remains as fresh as possible during shipping and storage and you get the best and 99.9% pure nicotine from VapingZone. The majority of our wholesale orders are shipped via USPS. Please contact us directly through email or telephone for alternate shipping methods for larger or international orders. NOTE: The discount price is already factored into the price for wholesale orders, therefore, additional discount codes cannot be applied to wholesale liquid nicotine orders.